You don't have to be a collector of frogs to appreciate these little cuties, but definitely purchase a couple for the frog lovers on your gift lists. 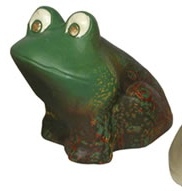 These frogs are handmade in Bolivia and are 100% fair trade. The fair wages the artisans receive improves their living conditions and helps build a better life for themselves and their families. 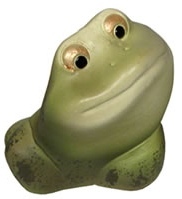 Large Frog Out of stock.